High in energy, fat and salt and low in fruit and vegetables – the Scottish diet is notoriously poor. Only 22% of Scots meet the recommended daily intake of five portions of fruit or vegetables. Furthermore, the average number of fruit and vegetable portions consumed (on a daily basis) is only 3.2 portions for Scottish adults. Given the wealth of evidence demonstrating the health benefits of consuming a diet rich in fruit and vegetables (e.g. reduced risk of cardiovascular disease, hypertension type 2 diabetes, obesity and cancer), improving fruit and vegetable intake in the Scottish population remains a major public health issue. 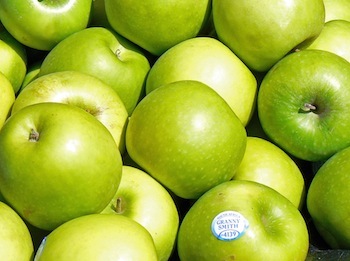 The reasons for low fruit and vegetable intakes in Scotland have been widely speculated. Availability, produce quality, food handler skills and recipe knowledge have all been identified as barriers to consuming fruit and vegetables. However for many consumers (particularly retired consumers and those from lower socio-economic groups) the financial cost of purchasing fruit and vegetables have been highlighted as a key barrier to achieving the recommended five portions of fruit and vegetables a day. With financial costs a very real obstacle for fruit and vegetable consumption, the WCRF3 conducted an investigation into the actual cost of purchasing fresh fruit and vegetables and reported that it was possible to buy your five portions of fruit and vegetables for as little as 42p. Using the MySupermarket website as a reference guide we looked at the cost of purchasing fruit and vegetables (i.e. those items purchased for less than 50p by the WCRF) and found similar results across three major supermarket chains (Tesco 37p, Sainsbury’s 39p and Asda 39p). Sound like Good News all round, especially here in Scotland when we don’t have easy access to produce markets but maybe not the entire story? Whilst both investigations, highlighted that purchasing 5 portions of fruit and vegetables was possible for less than 50p, the products chosen were not necessarily those likely to be readily accessible (or selected) by the entire population. For example, the inclusion of red cabbage is unlikely to be available in many smaller or local convenience stores. In addition, stores own brand “low cost” ranges may not be available for many low income consumers who do not have access to larger supermarkets. For fruit and vegetables to be considered truly accessible, we need to go further and help motivate people to improve their food knowledge and preparation skills and willingness to incorporate low cost fruit and vegetables into their diet. All in all, we need to highlight value for money, health benefits and promotion of good quality fruits and vegetables for all consumers to move towards 5 a day every day. This article was originally published in the SCPN Newsletter, Volume 3, Issue 1. 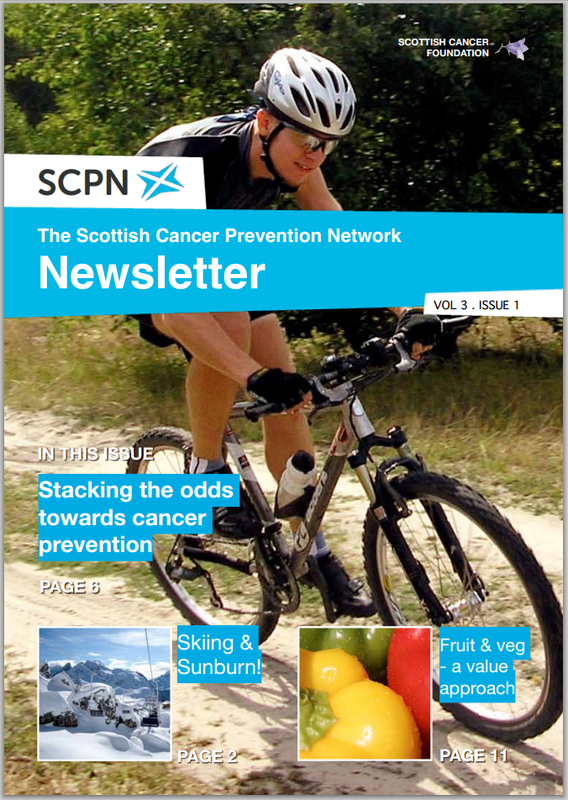 In our Spring 2012 issue, we cover 'Stacking the Odds towards Cancer Prevention,' skiing & sunburn, a value approach to fruit & veg, and more.